Wow, it’s Friday already! 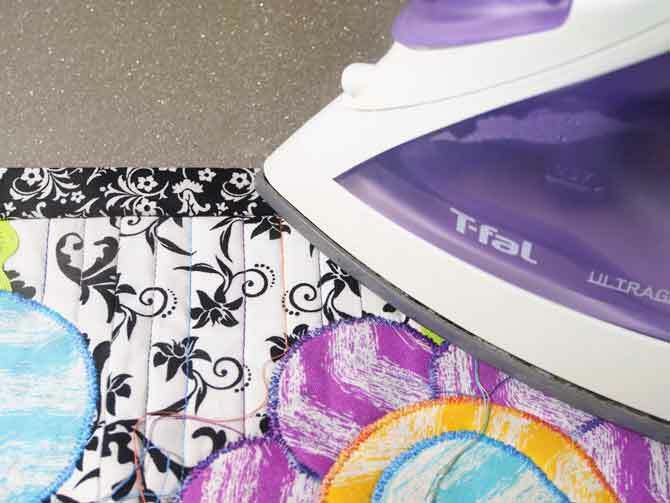 The week has sure flown by and has been packed full of all kinds of tips, tricks and great tools for quilting. Today is mostly about binding and the 3 most important tips for binding. I left off yesterday with the flowers stitched down to the quilt top and I had arranged some buttons for embellishment as well but then I got looking at the piece today and decided it needed some more quilting lines in the white fabric. So I added several more lines in the same three colors of thread that I used for the applique stitching. Now the background looks less barren and I have a ton of threads to pull through and tie off. Even with the addition of the quilting I still wasn’t quite happy with the negative space along each rick rack strip. I had some blue circles left over and just for fun placed them on the open rick rack areas. Adding the circles made the design complete and after stitching them in place I’m very pleased with the results. I chose to use the black fabric from my bundle of fat quarters that I found at my favorite fabric store. 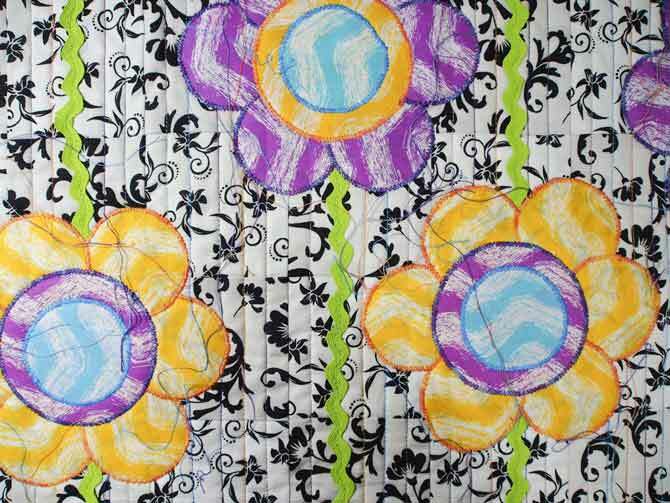 The black will finish the piece nicely by creating a frame around the flowers. It’s important to get a full binding. By that I mean that there’s no excess flat fabric but rather the binding is full of the three layers of the quilt. 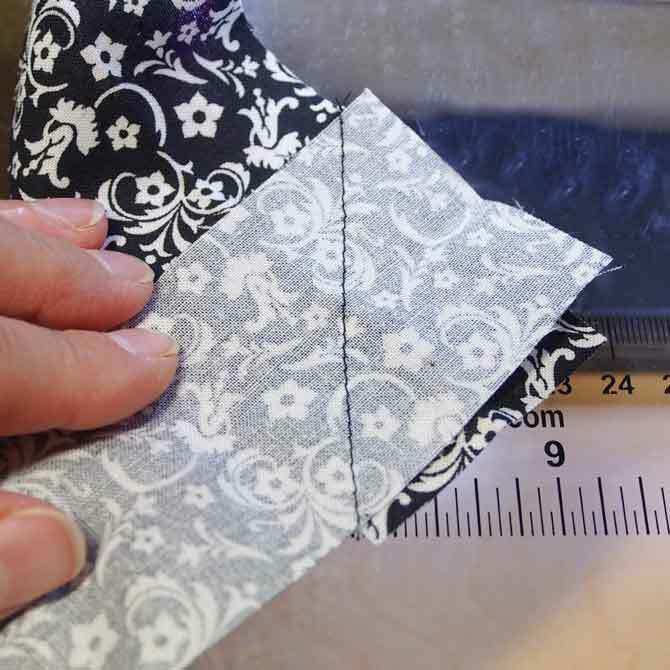 A good way to achieve this is to cut the binding at 2″ or if you prefer 2⅛″. Most people cut their binding at 2 ½″ which can result in a flat binding at the edge of the quilt. I have always cut it at 2 ¼″ but today I am going to cut it at 2″ and see how it goes. After cutting the binding strips I sewed them together on the bias to make one long continuous strip. 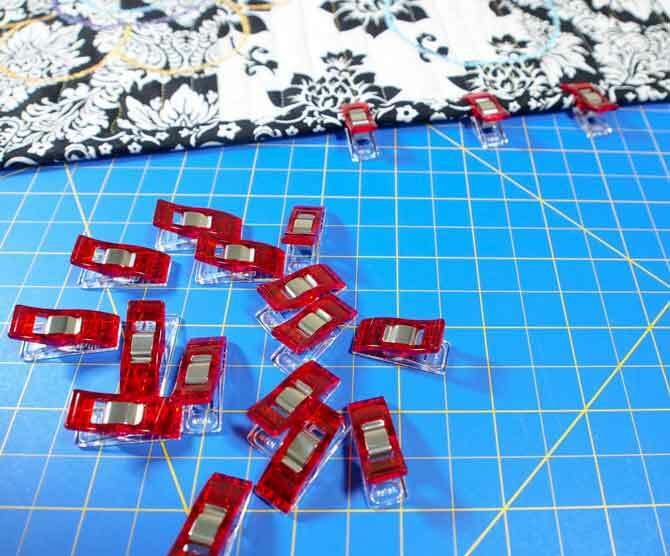 In order to ensure that the strips are even, you may wish to draw a diagonal line to sew along. 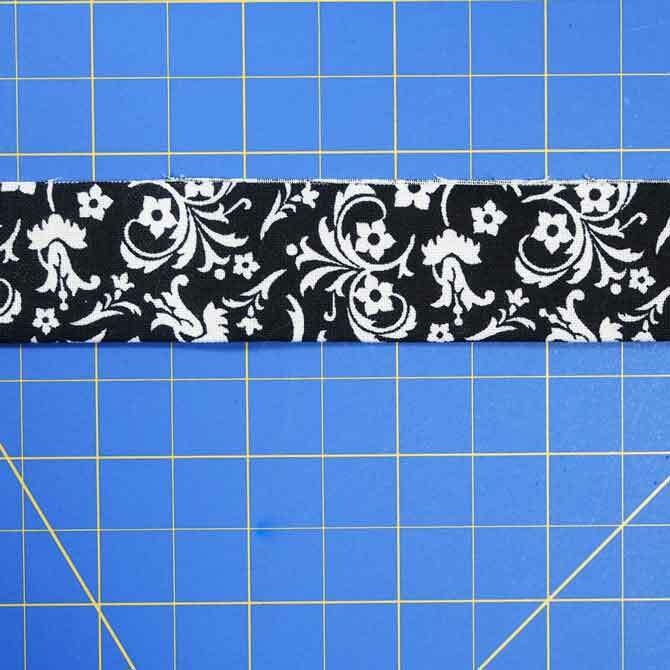 Once sewn together trim the excess fabric to a ¼″ at the joins and press the fabric in half with wrong sides together. I use steam when doing this to get a nice crisp edge on my binding. This is the edge that will be hand sewn to the back of the quilt. 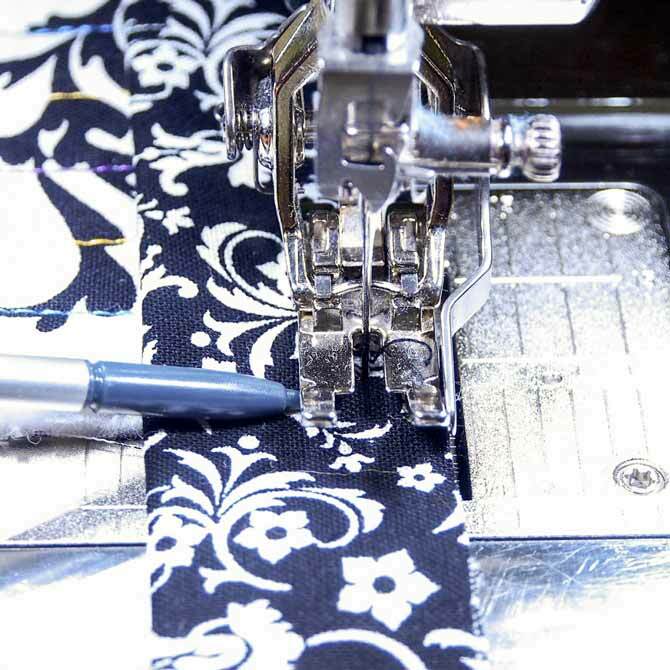 It’s very important to use a walking foot or a dual feed action foot when sewing the binding to the quilt top. Because the binding is being stitched through the layers of the quilt there’s extra fabric to move along under the foot. 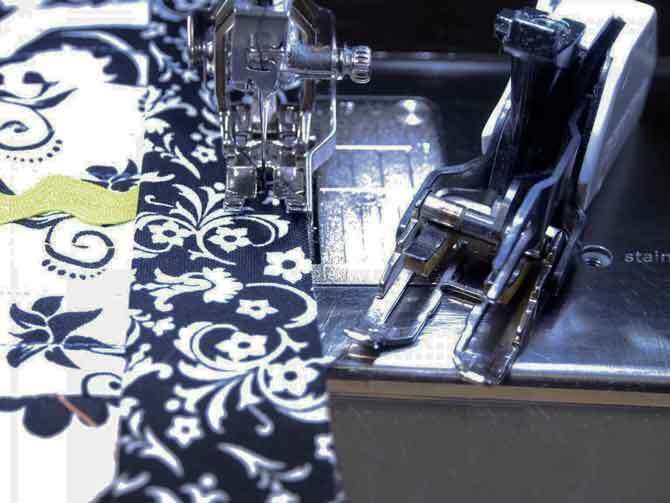 With a walking foot or dual feed foot the fabric is moved evenly and smoothly under the foot and over the feed dogs making for a crisp clean stitching line to hold the binding in place. It’s also important to stop a ¼″ from each corner to create the perfect mitered corner. 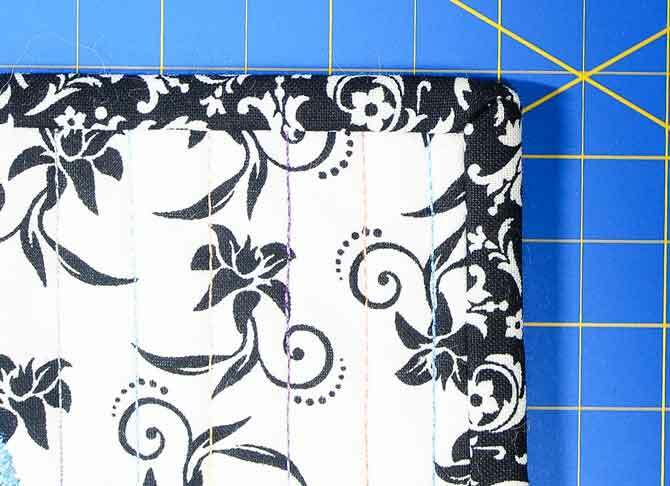 By not sewing that ¼″ from the corner it allows some space for the fabric when turning it to the back of the quilt and create a perfect flat mitered corner with no puckers. 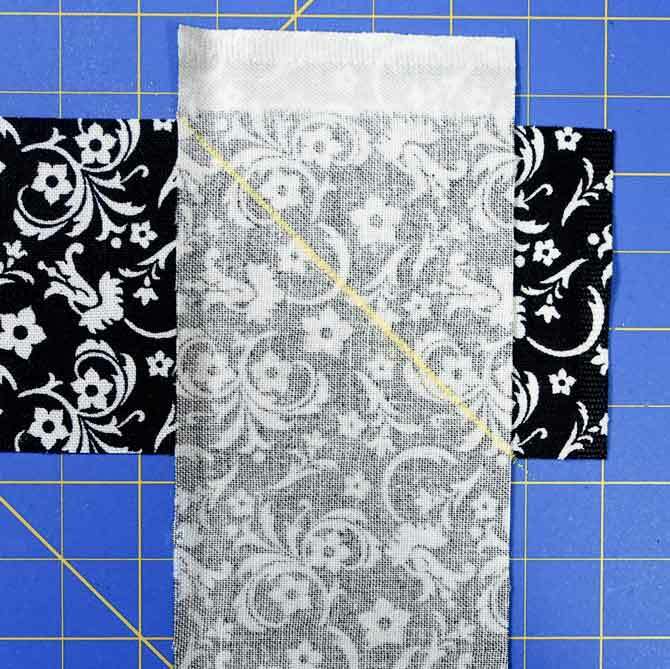 When attaching the two ends of the binding I also sew them on the bias, trim the excess fabric away and finish sewing the binding strip to the quilt top. Once the binding is attached I then press the binding over with steam to create a nice crisp seam and then turn over to the back and hand stitch in place. A wonderful tool to hold the binding in place while hand sewing are the Wonder Clips from Clover. They look like teeny tiny clothespins and clip over the binding to hold it in place. They come in several sizes and colors. The mitered corner is perfect thanks to all the important tips from above. The Dress It Up products are wonderful buttons to embellish with and come in a multitude of shapes, sizes and colors. They’re so much fun! For this piece I’m going to put the flowers in the center of each flower and the ladybugs all around the flowers on the background. 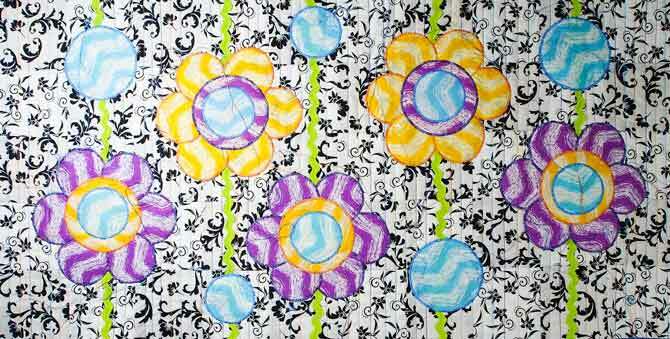 To sew everything in place I’m using Gutermann 100% polyester thread. 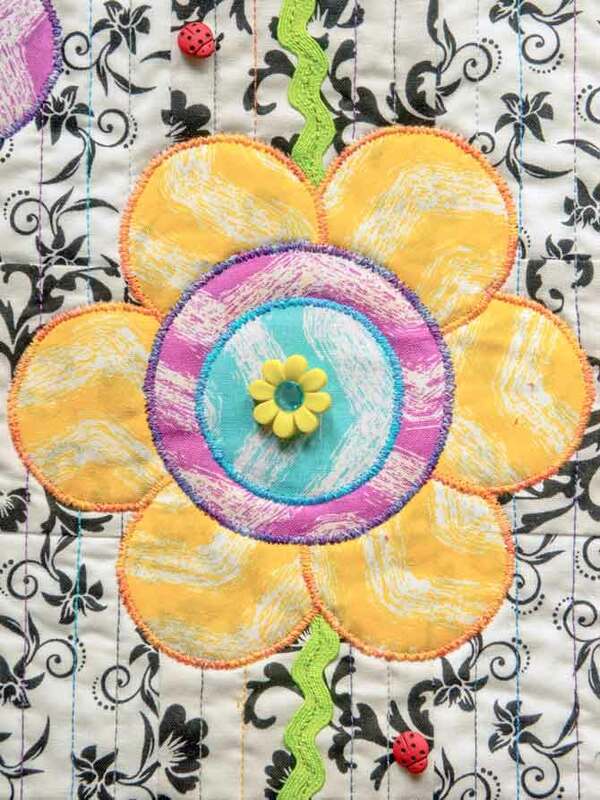 The strength of the polyester thread will ensure the buttons in stay attached to the quilt. I even have colors to match each button. Here’s the finished runner with embellishments. I love the flower buttons in the center of the flowers – especially the little bit of bling on them. And the ladybug buttons are just too cute. Now that the week is over, so is this little table runner project. It’s been a fabulous week creating this little table runner with some new tools and learning tips and tricks to make life easier as we create quilting projects in the future. 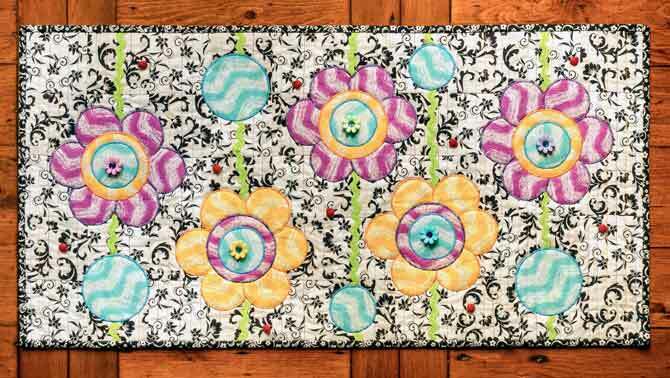 I hope that you have had as much fun creating the table runner and that the three most important tips for binding will help you with future projects. Until next month, HAPPY QUILTING! Great binding tips! I always have problems with my corners and now I know why…also I have never ironed the binding once attached. I will try it. Glad I found your site, lots of good info here.